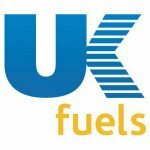 UK Fuels offers an unrivalled choice of diesel bunkering and commercially priced fuel cards. We work with our customers to fully understand their fleet needs and offer the best advice on making the right choice for both their business and your budget. We specialise in providing businesses with a highly flexible fuel card solution combined with our optional, integrated vehicle telematics and bulk diesel management systems. Our Bunkerplus option allows diesel fleet operators to bunker their bulk fuel into our network of 2200 stations including 480 HGV stations. Our low handling rates also provide one of the most cost effective fuelling solutions available on the market. Our commercially priced option gives customers access to 95% of stations across the UK and in 20 European countries all at competitive fixed weekly diesel prices. UK Fuels Ltd is part of Radius Payment Solutions Ltd, a leader in the fuel card and telematics industry.